Carbs Aren’t Really that Scary! 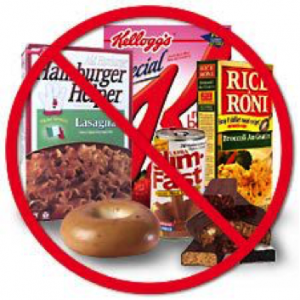 In the height of diets such as the Atkins, Keto, and other low carb plans, carbohydrates are often put in a bad light. In actuality, they are crucial to one’s health and body function. People frequently assume that carbs spike their blood sugar, leading to weight gain, and chronic diseases such as diabetes. While this is true to a point, it is important to know the full story when it comes to these controversial molecules. When broken down, carbohydrates are sugars. Depending on the complexity and size, they can be either simple or complex. Examples of simple sugars are fructose (found in fruits, vegetables, and more recently high fructose corn syrup), sucrose (table sugar), and lactose (milk sugar). 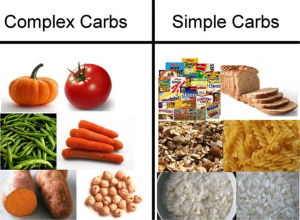 Complex carbohydrates are many of these simple carbohydrates strung together. They are found in fibrous foods like whole grains and legumes. All carbohydrates, whether simple or complex, are broken down into glucose, where they are let into your body’s cells for energy by the hormone insulin. Simple carbohydrates are absorbed quickly, which can cause a significant spike in blood sugar. Complex carbohydrates are broken down slower because of the indigestible fibers they contain, resulting in a much smaller spike in blood sugar. Knowing more about how they affect your body makes it easier to understand the types of carbohydrates we must eat to maintain a healthy lifestyle. It’s not that carbohydrates themselves are that scary, it’s the type of carbs that most people are eating. Consuming large amounts of simple, refined carbohydrates can cause the health problems and weight gain that anti-carb believers are so scared of. The western diet today is quite high in these simple carbs. Foods such as white pasta, bread, and sugar are consumed in large quantities by the average American. Since these products spike your blood sugar, it creates higher risks of chronic diseases such as type two diabetes. Instead of cutting out carbohydrates completely, opt for whole grains, fruits, and vegetables to take in fiber and the many vitamins, minerals, and antioxidants they contain. Upon doing this regularly, you will find that not only do your blood sugar levels lower, but your overall body function will improve due to the other effects of these foods. Like I have said before, completely cutting out any nutrient is not beneficial, even if you are losing weight because of it. Our bodies need certain amounts of each nutrient, including vitamins and minerals. Carbohydrates are the body’s preferred energy source, because they are easy to break down so the cells can use them for energy. By consuming little to no carbohydrates, it puts the body in a state of ketosis. Since there are no carbs present, fats (and sometimes protein) are broken down instead. This seems great, right? It is the actually the opposite. Breaking down fat creates ketones, causing effect such as lower blood pH, which creates an acidic environment (not ideal conditions), lessening the oxygen’s ability to bind to the red blood cells. Even though losing weight is an appealing effect of this, I do not think it is worth the severe imbalance it puts your body in. By eating the right kinds of carbohydrates most of the time in addition to a healthy, balanced diet, you will not only look great, but feel great as well. Carbohydrates as a whole, do not contribute to weight gain and poor health, but rather the types of carbs that are consumed. Diets high in refined carbohydrates (read: sugary, processed foods) are the main causes of this. Just stick to complex carbs like whole grains and vegetables, and I can assure you, your body will thank you!